Climate Change. There is no limit on oil production within the foreseeable future. Oil prices can be expected to keep rising. With higher prices, alternative fuels and higher cost extraction techniques will become available. The main concern is climate change. The only reason that oil production would drop is because we have found a way to use less oil because of climate change concerns, and choose not to extract oil that seems to be available. Limit Based on Geology (“Peak Oil”). In each oil field, production tends to rise for a time and then fall. Therefore, in total, world oil production will most likely begin to fall at some point, because of technological limits on extraction. In fact, this limit seems quite close at hand. High oil prices may play a role as well. Oil Prices Don’t Rise High Enough. We need high oil prices to keep oil extraction up, but as we reach diminishing returns with respect to oil extraction, oil prices don’t rise high enough to keep extraction at the required level. If oil prices do rise very high, there are feedback loops that lead to more recession and job layoffs and less “demand for oil” (really, oil affordability) among potential purchasers of oil. One major cut-off on oil supply is inadequate funds for reinvestment, because of low oil prices. Because of diminishing returns, the cost of oil extraction keeps rising. It is hard for oil prices to increase enough to provide an adequate profit for producers. In fact, oil prices already seem to be too low. 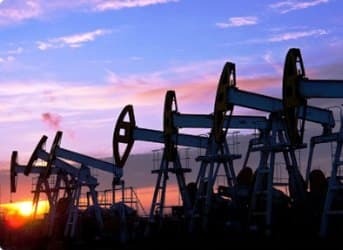 Oil companies have begun returning money to stockholders in increased dividends, rather than investing in projects which are likely to be unprofitable at current oil prices. See Oil companies rein in spending to save cash for dividends. 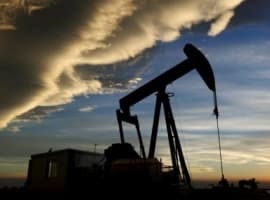 If our need for investment dollars is escalating because of diminishing returns in oil extraction, but oil companies are reining in spending for investments because they don’t think they can make an adequate return at current oil prices, this does not bode well for future oil extraction. A related problem is debt limits for oil companies. If cash flow does not provide sufficient funds for investment, increased debt can be used to make up the difference. The problem is that credit limits are soon reached, leading to a need to cut back on new projects. This is particularly a concern where high cost investment is concerned, such as oil from shale formations. A rise in interest rates would also be a problem, because it would raise costs, leading to a higher required oil price for profitability. The debt problem affects high priced oil investments in other countries as well. OGX, the second largest oil company in Brazil, recently filed for bankruptcy, after it ran up too much debt. 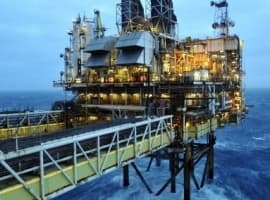 National oil companies don’t explain that they are finding it hard to generate enough cash flow for further investment. They also don’t explain that they are having a hard time finding sites to drill that will be profitable at current prices. Instead, we are seeing more countries with national oil companies looking for outside investors, including Brazil and Mexico. Brazil received only one bid, and that for the minimum amount, indicating that oil companies making the bids do not have high confidence that investment will be profitable, either. Meanwhile, newspapers spin the story in a totally misleading way, such as, Mexico Gears Up for an Oil Boom of Its Own. Cohen could explain that without natural gas exports, there is no way the natural gas price will rise high enough for Exxon-Mobil to extract the resource at a profit. Without exports, Exxon Mobil will lose money on the extraction, or more likely, will have to leave the natural gas in the ground. With low prices, the huge resource that Obama has talked about is simply a myth–the prices need to be higher. Of course, no one tells us the real story–it seems better to let people think that the issue is too much natural gas, not that it can’t be extracted at the current price. The stories offered to the news media are simply ways to convince us that exports make sense. Readers are not aware how much stories can be “spun” to make the current situation sound quite different from what it really is. The Illusion of Reserves. Oil and gas reserves may seem to be “be there,” but a lot of conditions need to be in place for them to actually be extracted. Clearly, the price needs to be high enough, both for current extraction and to fund new investment. Other conditions need to be in place as well: Debt needs to be available, and it needs to be available at a sufficiently low rate of interest to keep costs down. There needs to be political stability in the country in question. Something as simple as a continuation of the uprisings associated with the Arab Spring of 2010 could lead to the inability to extract reserves that seem to be present. Other requirements include availability of water for fracking and the availability of skilled workers and drilling rigs. In the past, we have been far enough away from limits that issues such as these have not been a big problem. But as we get closer to limits and stretch our capabilities, these become more of a problem. Right now, availability of debt at low interest rates is a particularly important issue, as is the need for adequate oil company profitability–things that are easy to overlook. Wrong Economic Views Leading to Wrong Oil Views. Economists have put together economic models based on a world without limits. A world without limits is the easy approach, because mathematical relationships are much simpler in a world without limits: a relationship which held in 1800 is expected to hold in 1970 or in 2050. A world without limits never offends politicians, because growth always seems to be possible, meaning a never-ending supply of jobs and of goods and services for constituents. A model without limits produces the simple relationships that we are accustomed to, such as “Inadequate supply will lead to a rise in price, and this in turn will tend to create greater supply or substitutes.” Unfortunately, these models omit many important variables and thus are inadequate representations of the world we live in today. In a world with limits, there are feedback loops that cause high oil prices to lead to lower wages and more unemployment in oil importing countries. Thus “demand” can’t keep rising, because workers can’t afford the higher oil prices. Oil prices stagnate at a level that is too low to maintain adequate investment. 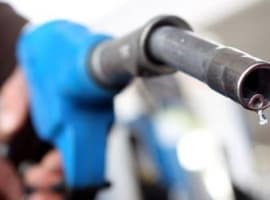 High oil prices also feed back into slower economic growth and a need for ultra-low interest rates to raise demand for high-priced goods such as cars and homes. The Interconnected Nature of the Economy. In my last post, I talked about the economy being a complex adaptive system. It is built from many parts (many businesses, laws, consumers, traditions, built infrastructure). It can operate within a range of conditions, but beyond that range it is subject to collapse. An ecosystem is a complex adaptive system. So is a human being, or any other kind of animal. Animals die when their complex adaptive system moves out of its range. It is this interconnectedness of the economy that leads to the strange situation where something very remote from the real problem (oil limits) can lead to a collapse. Thus, it can be a rise in interest rates or a political collapse that ultimately brings the system down. The path of the downslope can be very different from what a person might expect, based on the naive view that the problems will simply relate to reduced supply of oil. The Soviet Union was major oil exporter and a military rival of the United States in the 1950s through 1980s. It also was the center of a huge economic system, involving many other countries. One thing that bound the countries together was the use of communism as its method of government; another was trade among countries. In effect, the group of communist countries had their own complex adaptive system. Things seemed to go fine for many years, but then in December 1991, the central government of the Soviet Union was dissolved, leaving the individual republics that made up the Former Soviet Union (FSU) on their own. While there are many theories as to what all caused the collapse, it seems to me that low prices of oil played a major role. The reason why low oil prices are important is because in an oil exporting country, such as the FSU, oil export revenues represent a major part of government funding. If oil prices drop too low, there is a double problem: (1) it becomes unprofitable to drill new wells, so production drops and, (2) the revenue that is collected on existing wells drops too low. The problem is then a huge financial problem–not too different from the financial problem the US and many of the big oil importing countries are experiencing today. Figure 1. Oil production and price of the Former Soviet Union, based on BP Statistical Review of World Energy 2013. In this particular situation, oil prices (in inflation adjusted prices) hit a peak in 1980. Once oil prices hit a peak, FSU oil production very much flattened. There was a continued small rise until 1983, but without the very high prices available until 1980, aggressive investment in new oil extraction dropped back. Not only did FSU oil production flatten, but FSU oil consumption also flattened, not long after oil production stopped rising (Figure 2). This flattening helped maintain exports and the taxes that could be collected on these exports. Figure 2. Former Soviet Union Oil Production and Consumption, based on BP Statistical Review of World Energy, 2013. Even though total exports were close to flat in the 1980s (difference between consumption and production), there were some countries where exports that were rising–for example North Korea, shown in Figure 4. This mean that oil exports for some allies needed to be cut back as early as 1981. Figure 3 shows the trend in oil consumption for some of FSU’s allies. Figure 3. Oil consumption as a percentage of 1980 consumption for Hungary, Romania, and Bulgaria, based on EIA data. A person can see that oil consumption dropped off slowly at first, and increased around 1990. All of these countries saw their oil consumption drop by at least 40% by 2000. Bulgaria saw is oil consumption drop by 65% to 70%. The FSU exported oil to other countries as well. Two countries that we often hear about, Cuba and North Korea, were not affected in the 1980s (Figure 4). In fact, Cuba’s oil consumption never seems to have been severely affected. (It is possible that exports of manufactured goods from the FSU dropped, however.) Cuba’s drop-off in oil consumption since 2005 may be price-related. Figure 4. Oil consumption as a percentage of 1980 oil consumption for Cuba and North Korea, based on EIA data. North Korea’s oil consumption continued growing until 1991. Its drop-off was then very severe–a total of an 83% reduction between 1991 and 2010. In most of the countries where oil consumption dropped, consumption of other fossil fuels dropped as well, but generally not by as large percentages. North Korea experienced nearly a 50% drop in other fuel (mostly coal) consumption by 1998, but this has since somewhat reversed. By 1991, the FSU was in poor financial condition, partly because of the low oil prices, and partly because its oil exports had started dropping. FSU’s oil production left its plateau and started dropping about 1988 (Figure 2). The actual drop in FSU oil production meant that oil consumption for the FSU needed to drop as well–a big problem because industry depended upon this oil. The break-up of the FSU was a solution to these problems because (1) it eliminated the cost of the extra layer of government and (2) it made it easier to shift oil consumption among the member republics, so that those republics that produced more oil could keep it for their own use, rather than sending it to republics which did not produce oil. This short-changed non-oil producing republics, such as the Ukraine and Belarus. If we look at oil consumption for a few of the republics that were previously part of the FSU, we see that oil consumption was fairly flat, then dropped off quickly, after 1991. Figure 5. Oil consumption as a percentage of 1985 oil production for Russia, the Ukraine, and Belarus, based on BP Statistical Review of World Energy 2013. By 1996 (only 5 years after 1991), oil consumption had dropped by 78% for the Ukraine, by 61% for Belarus, and by “only” 47% for Russia, which is an oil-producing state. At least part of the reason for the fast drop off was the fact that in the years immediately after 1991, oil production for the FSU dropped by about 10% per year, necessitating a quick drop off in consumption, especially if the country was to continue to make some money from exports. The 10% drop-off in oil production suggests that the decline in oil production was more than would be expected from geological decline alone. If the decline were for geological reasons only, without new drilling, one might the expect the drop off to be in the 4% to 6% range. When oil consumption dropped greatly, population tended to decline (Figure 6). The decline started earliest in the countries where the oil consumption drop was earliest (Hungary, Romania, and Bulgaria). The steepest drop-offs in population occur in the Ukraine and Bulgaria–the countries with the largest percentage drops in oil consumption. Figure 6. Population as percent of 1985 population, for selected countries, based on EIA data. Some of the population drop is from emigration. Some of it is from poorer health conditions. For example, Russia used to provide potable water for its citizens, but it no longer does. Some is from conditions such as alcoholism. I haven’t shown the population change for North Korea. It actually continued to increase, but at a much lower rate of growth than previously. Cuba’s population has begun to fall since 2005. GDP growth for the countries shown has tended to lag behind world economic growth (Figure 7). Figure 7. GDP compared to world GDP – Change since 1985, based on USDA Real GDP data. Nearly all of the countries listed above have had financial problems, at different times. Belarus’s GDP seems to be doing better than the rest on Figure 7. Belarus, like the Ukraine, is a pipeline transit country for Russia. In Belarus, natural gas consumption has increased, even as oil consumption has decreased. This increase is likely helping the country industrialize. Inflation occurred at the rate of 51.9% in 2012 according to the CIA World Fact Book. This high inflation rate may be distorting indications. We can’t know exactly what path our economy will follow in the future. I expect, though, that the path of the FSU and its trading partners is closer to the path we will be following than most forecasts we hear today. Most of us haven’t followed the FSU story closely, because we wrote off most of their problems to deficiencies of communism, without realizing that there was a major oil component as well. One of the things that hampered the recovery of the FSU was the fact that the communist economic model proved not to be competitive with the capitalistic model. In a way, the situation we are facing today is not all that different, except that our challenge this time is competition from Asian economies that we have not had to compete with until the early 2000s. (1) Asian competitor countries are generally warmer than the industrialized West. Because of this, Asian workers can live more comfortably in flimsy homes. They also don’t need much salary to cover heating and can more easily commute by bicycle. It is often possible to produce two crops a year, making productivity of land and of farmers higher than it otherwise would be. In other words, Asian competitor countries have an energy subsidy from the sun that the Industrialized West does not. (2) Asian competitors are often willing to ignore pollution problems, reducing their costs relative to the West. (3) Asian competitors generally depend on coal to a greater extent than we do, keeping their costs down, relative to countries that use higher-priced fuels. (4) Asian competitors are less generous with employee benefits such as health care and pensions, also holding costs down. Economists, through their wholehearted endorsement of globalization, have pushed industrialized countries into a competitive situation which we are certain to lose. While oil prices tend to push wages down, competition with Asian countries makes the downward push on wages even greater. These lower wages are part of what are pushing us toward collapse. To solve our problems, economists have proposed a shift toward renewable energy and the implementation of carbon taxes. Unless these changes are done in a way that actually reduces costs, these “solutions” are likely to make us even less competitive with low-cost competitors such as those in Asia. Thus, they are likely to push us toward collapse more quickly. To support this position, economists point to climate change models based on the view that the burning of fossil fuels will increase greatly in the decades again. In fact, if collapse occurs in the next few years in the Industrialized West, carbon emissions are likely to fall quickly. Because of the interconnectedness of the world system, the rest of the world will likely also encounter collapse in not many more years, and their carbon emissions are likely to fall quickly, as well. Even the “Peak Oil” emissions that are used in climate change models are way too high, relative to what seems likely to be the case. If I am right about collapse being a possibility for the Industrialized West, then our problem will be that we as nations become so poor that we can no longer find goods to trade with Asian countries. Most of our goods will not be competitive as exports, and we won’t be able to simply add more debt to rectify the situation. Thus, we will become unable to buy many goods we depend on, including computers and replacement parts for wind turbines. Breakups of many types are possible. The European Union may cease to operate in the way it does today. The International Monetary Fund is likely to cease operating in the way it does today, because of the collapse of many of its members who provide funding. The US will be subject to strains of the type that lead to break up. If nothing else, oil producing states will want to withdraw, so that they are not, in effect, subsidizing the rest of the US economy. 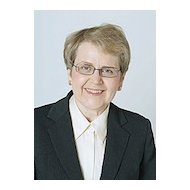 It is unfortunate that economists are tied to their hopelessly out-of-date economic models. Part of the problem is that the story of “collapse around the corner” doesn’t sell well. The alternate story economists have come up with really isn’t right, but it is pleasing to the many who benefit from subsidies for renewables, and it makes politicians look like they are doing something. The specter of climate change in the distance gives an excuse to cut back oil use, among other things, so has at least some theoretical benefit. It is unfortunate, however, that we cannot look at the real problem. Unless we can understand the problem as it really is, it is impossible to find solutions that might actually be helpful.